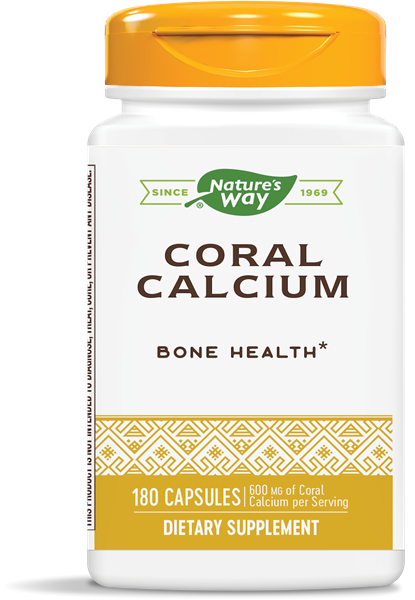 Coral Calcium / 180 Vcaps - Nature's Way®. Provides calcium as well as other vitamins and minerals. Coral Calcium Blend is a synergistic formula of vitamins and minerals. Our Coral Calcium is from a fossilized source gathered above sea level. Take 3 capsules twice daily, preferably with food. If pregnant, nursing or taking any medications, consult a healthcare professional before use.